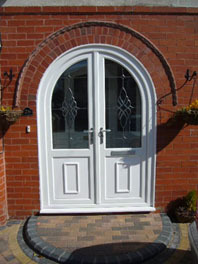 We are an approved Rock Door installer, by far the best doors on the market today. There are three ranges to choose from, each tailored to suit your budget. Choose from eleven standard door colours. 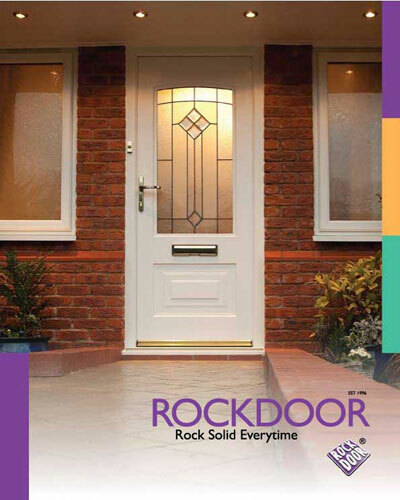 Click HERE to go to the Rock Door online brochure and door designer. 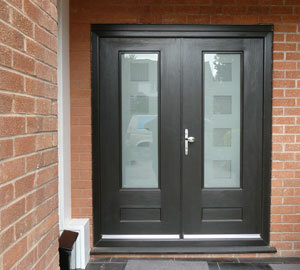 SAFETY GLAZING is always used in our doors, normally in the form of toughened double glazed units. Laminated glass can be requested, providing a similar level of safety – and even greater security. 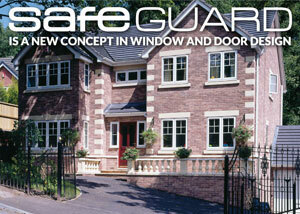 Because of their advanced level of security, all doors in the Safeguard Range are backed by ‘Secured by Design’, a police initiative. Multipoint locking systems incorporate hook locks for security, as well as cams to provide compression to keep out draughts. High quality double gasket seals complete the picture. Our locking system meets all the latest standards for security including PAS23 and 24 and is approved by the ‘Association of British Insurers’. Cosmopolitan residential doors are not just about quality and security, they are about creating lasting impressions. 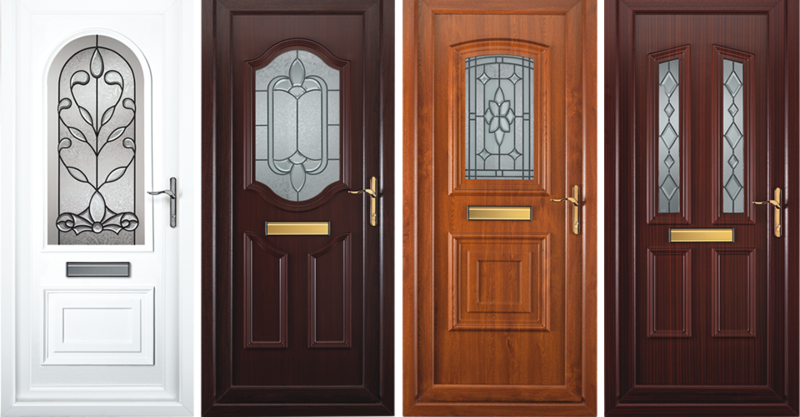 Doors have a huge influence on the overall character and ambience of your home, making it important you choose the right door for your property. 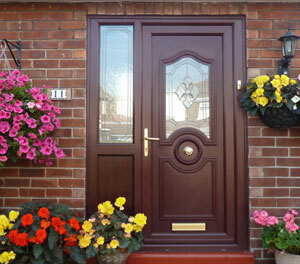 Cosmopolitan is the leading brand in residential door panels in the UK. Our doors are not only stylish and secure; they offer excellent thermal efficiency properties helping to reduce energy loss in your home. WITH FRENCH DOORS WIDE OPEN THE ROOM ALMOST BECOMES PART OF THE GARDEN. 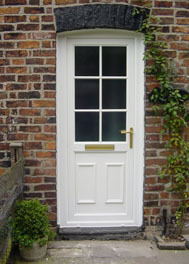 Popular options include Georgian style glazing, and doors can be made to open inwards or outwards in 5 colour finishes. Security is provided by the same high security locking mechanism fitted to our entrance doors, to leave you feeling safe and sound. Anti-lift blocks as well as a six point anti-jemmy lock fitted to our sliding patio doors are the ideal deterrent to would-be intruders. By sliding to open they don’t intrude into a porch or conservatory – but still give any room that light and airy feel. Toughened or laminated double-glazed units add the final touch to our whole range of doors and patio doors. Whatever your choice, you can let the outside into your sitting room in perfect comfort and safety all year round. A tilt & slide patio door adds the convenience of lockable secure ventilation with a ‘tilt’ position similar to a tilt & turn window. ‘Mushroom’ headed cams operate all around the opening door to help keep out extremes of weather, as well as unwanted visitors.